Drug abuse is a health crisis in Kentucky, and the state's top health professional says it will get a lot worse over the holiday weekend. Kentucky Health Commissioner Dr. Hiram Polk says an Emergency Health Alert has gone out to first responders, hospitals and addiction counselors to mobilize for a rash of overdose cases. 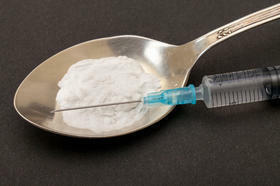 In the Midwest lately, including Kentucky, Indiana and Ohio, heroin on the streets is being cut and sold with Fentanyl. Fentanyl is the deadly drug that killed rock legend Prince, and is far more potent than heroin. Hospitals and EMS are stocking up on the overdose-reversal drug naloxone. In just two days in Louisville, there were 28 overdoses, and Dr. Polk predicts much more over the weekend. Jefferson County's top attorney is fighting back against the heroin epidemic. County Attorney Mike O'Connell, who lost his son Matt to an overdose in 2014, called the drug a "plague on this country" in an impassioned address to the Kentucky International Overdose Awareness Rally. He told those at the rally that was scheduled prior to Tuesday night's mass overdoses that those who distribute the drugs treat it like a business and they need to be shut down. Parts of Kentucky are under a heat advisory. WAVE 3 meteorologist Kevin Harned says while heat advisories aren't uncommon, there aren't many year to year. 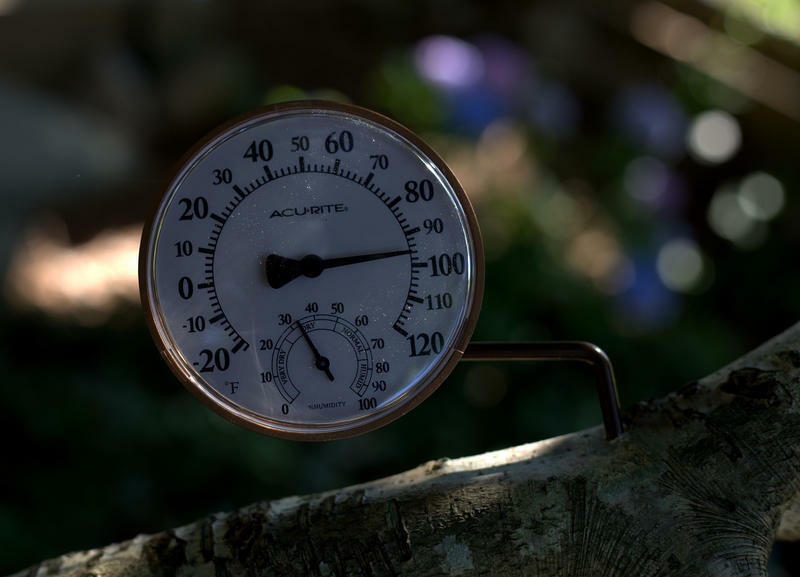 Harned says heat advisories make it easier to overheat, as perspiration rises off the skin faster than usual. Taking breaks if you work outside, drinking plenty of water and limiting your exposure to the sun are all strongly advised for the next few days. Harned warns the father west you go, the hotter the temperatures will be. Along and east of I-65 may feature some storms to cool things down. The heat advisory will be in effect until around 7:00 Central Saturday evening. 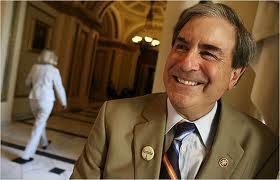 John Yarmuth is sitting down on the job. The Third District Democrat is participating in a sit-in on the floor of the U.S. House in an effort to force the Republican majority to skip a week long recess and take up gun control legislation. Yarmuth says between 50 to 75 democrats are participating in the sit-in that prompted the Speaker Pro Tem to call the chamber out of order. He says as the minority, this is the only option available to them to force action on the legislation. Yarmuth says the plans for the sit in started Monday night and wrapped up Tuesday afternoon. Kentucky's only local soft drink is now available in a larger part of the state. 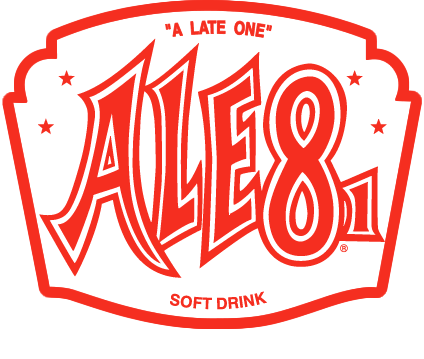 Ale-8-One, produced in Winchester since 1926, is doubling its service area, to include Elizabethtown, Bowling Green and Owensboro. President and COO Ellen McGeeney says the expansion goes along with the homemade, handcrafted explosion in the beverage industry. McGeeney says people should start seeing Ale-8-One in the new areas within two weeks. 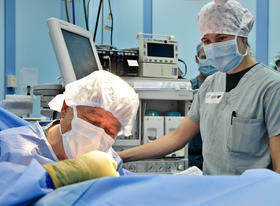 Several universities are banding together to address Kentucky's physician shortage. The University of Kentucky College of Medicine will offer satellite programs at Morehead State University and Western Kentucky University, to increase the number of doctors in the state. UK President Eli Capilouto says those who attend med school close to home are 60 to 70% more likely to practice medicine in those areas. The partnership, which will also include St. Claire Regional Medical Center, Kings Daughters Medical Center and The Medical Center in Bowling Green, could begin within two years. 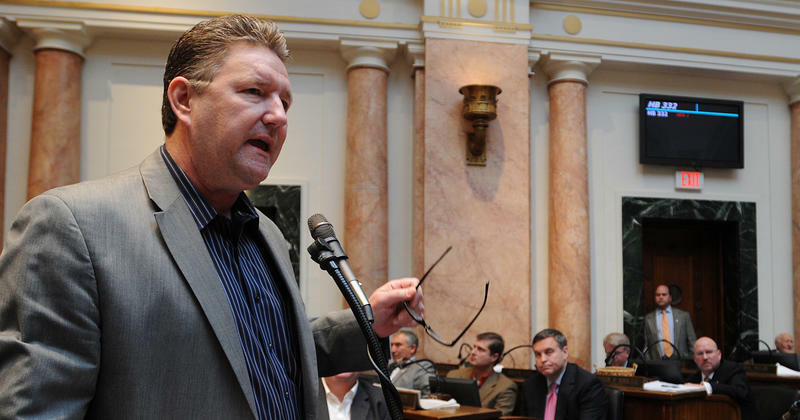 A top Democrat in the Kentucky House says he will not seek re-election. Johnny Bell of Glasgow plans to retire from the General Assembly after eight years. The House Majority Whip says the political atmosphere in federal and state legislatures has changed, and it’s more about politics than about serving the people. The 50-year-old Bell serves Barren and a portion of Warren County. His announcement comes as Democrats hold a narrow 50-46 majority in the Kentucky House with four seats up for grabs in a special election March 8. Glasgow Attorney Danny Basil and City Councilman Joe Trigg, both Democrats, will run for Bell’s seat along with Republicans Freddie Joe Wilkerson and Steve Riley. Tuesday is the filing deadline for candidates seeking office this year. A Kentucky man has been added to the Tennessee Bureau of Investigation's Top Ten Most Wanted List. 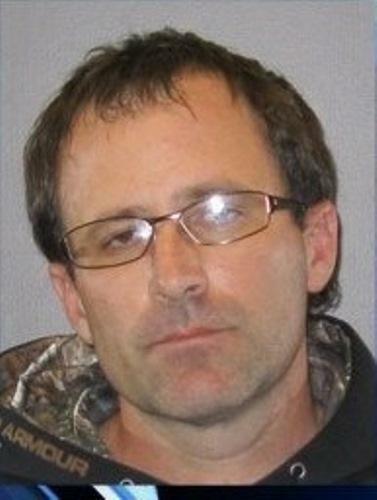 Authorities are searching for Benjamin Brewer of London, KY. He is wanted in connection with a DUI crash that happened near Chattanooga in June that killed six people. Police say he was driving an 18-wheeler that crashed into vehicles that were stopped in a construction zone. The indictment against Brewer was handed up earlier this week. Police in Kentucky have arrested a truck driver accused of causing a multi-vehicle crash that killed six people at a construction zone near Chattanooga. Benjamin Scott Brewer was arrested Friday night in Lexington after being indicted this week on six counts of vehicular homicide. Lexington Police say the 39-year-old Brewer was found in a parking lot around 8:30 p.m.
Sgt. Joe Anderson says Brewer tried to kick out a window when he was put into a police cruiser. He will be jailed in Lexington until he can be extradited to Tennessee. His arrest came a day after he made Tennessee's "Top 10 Most Wanted" list. 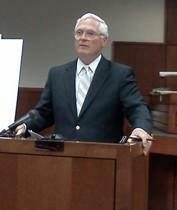 Federal investigators say Brewer had been driving for 15 consecutive hours before the June 25 crash on Interstate 75. The Nelson County Sheriff's Office says the boyfriend of a missing mother of five has agreed to take a lie detector test. 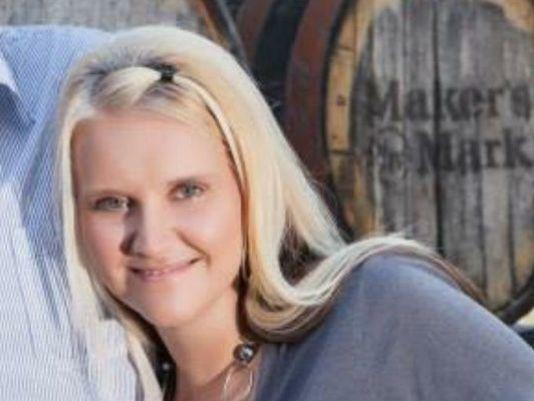 Friends and family continue their search for 35-year-old Crystal Rogers. The search area has expanded with teams combing additional areas off of the Bluegrass Parkway. Rogers' car was found abandoned near mile marker 14 with her purse and cellphone inside. The 2007 maroon Chevrolet Impala also had a flat tire. Nelson County Sheriff Ed Mattingly says Brooks Houck, Rogers' live-in boyfriend, is the last reported person to see her at his family's farm. The family has increased their reward to $40,000 for information that leads police to find Rogers. Matt Bevin is already looking ahead despite the threat of a recanvass. The Louisville businessman addressed his supporters in a Louisville ballroom Tuesday night, acknowledging all three of his competitors before claiming victory in the GOP primary. Bevin held the lead for most of the night before James Comer was propelled into the lead for a time by rural western Kentucky counties with Bevin retaking the lead with some of the last returns reported. In a 20 minute address, Bevin outlined his platform and called for the supporters of his former rivals to join his campaign. Bevin at one point quoted Ronald Reagan, calling his GOP primary win "morning in Kentucky". James Comer isn't done with the GOP gubernatorial primary and may not be for at least a week. Comer is 83 votes behind GOP rival Matt Bevin and told supporters in Lexington he would ask for a recanvass. Comer's comeback capped a night that saw him in third place and over 10,000 votes back of the leader before the ballots were counted in western Kentucky. Even with the call for a second look, Comer said he had taken time to call Bevin and said if the vote count held, he would support him in November. 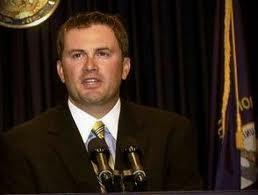 According to the Secretary of State's office, Comer's campaign has until 4p.m. on May 26 to request a recanvass. If one is requested, it will be conducted at the individual county election offices at 9 a.m. May 28. Right to Work legislation that passed in the Kentucky Senate failed in a House committee. After hearing nearly an hour of testimony the House Labor and Industry Committee soundly rejected the bill Thursday. Supporters said it was needed to clear away hurdles for future economic development and job growth. Home in time for the holidays! About 50 members of the Kentucky Air National Guard returned to Louisville this morning from Africa, where they have been helping battle Ebola. The 123rd Contingency Response Group established a cargo processing hub in Senegal during its deployment. 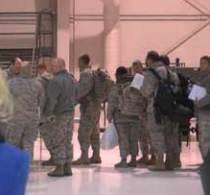 The Air National Guard says the members were stationed hundreds of miles away from areas affected by Ebola outbreaks. They will not have to undergo a quarantine upon their return but are undergoing symptom monitoring as a precaution. A spokesman says an Owensboro company is hiring more people and is working around the clock on an experimental medicine that was recently used on American aid workers who contracted Ebola. Reynolds American Inc. acquired Kentucky BioProcessing in January. Reynolds spokesman David Howard said the company has put its full focus on the compound ZMapp. 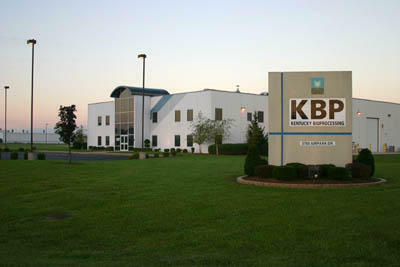 Kentucky BioProcessing was contracted by San Diego based drug maker Mapp Biopharmaceutical to produce ZMapp. It makes the compound using tobacco plants. The Kentucky Department for Public Health is reporting the first positive lab-confirmed influenza case this week, indicating the presence of flu circulating in Kentucky. The case was from Jefferson County. DPH officials are reporting the results to the Centers for Disease Control and Prevention (CDC) as part of statewide flu surveillance efforts. Kentucky’s flu activity will be classified as “sporadic,” the lowest level indicating flu activity. 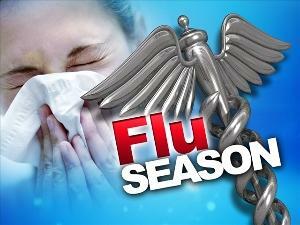 The flu season in Kentucky typically begins in October or November. Churchill Downs is considering dropping September racing in 2015 if required to share racing dates with Kentucky Downs. Track president Kevin Flannery told the Kentucky Horse Racing Commission's race date committee that there are issues with horse population and making sure everybody can fill the fields.